I have created a call to action on the home page associated with the title page. My intention is to have an image that a phone user can "click on" that would automatically dial the office number. How can I do this and is it possible to choose an image such as a phone? 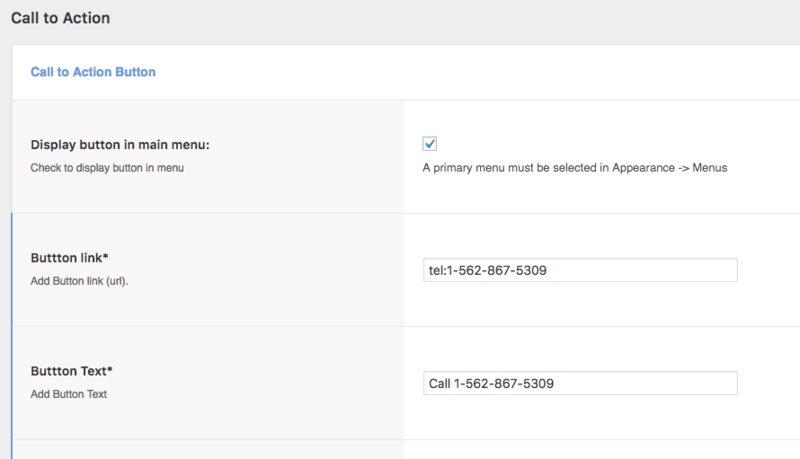 This will allow mobile visitors to call the phone number directly. <i class="fa fa-phone" aria-hidden="true"></i> Call now! I have changed the url to" tel:1-907-826-2273". I am still getting the 404 error page. Could you give me admin access to your site (in a private reply), so I can check what went wrong? there is a 2nd issue with the call to action button. the view and image is very different when you compare between an Iphone view and a desktop view. If you have another account with Admin access, then you can grant access to any user in Wordpress dashboard, by clicking "Users" menu. Whoever set up the WordPress for you, also has the admin rights. If this is the only account you have, then you should ask for admin access to the site. - It is your website and you should have full access to it. I was also able to login with the godaddy details you provided. I think the Godaddy is modifying the admin rights with its plugin. CTA is set up as it should be. Also works on the front end. Regarding the mobile view: Could you be more precise on what displays differently? Maybe a screenshot? This morning the mobile view appears to be working very well.